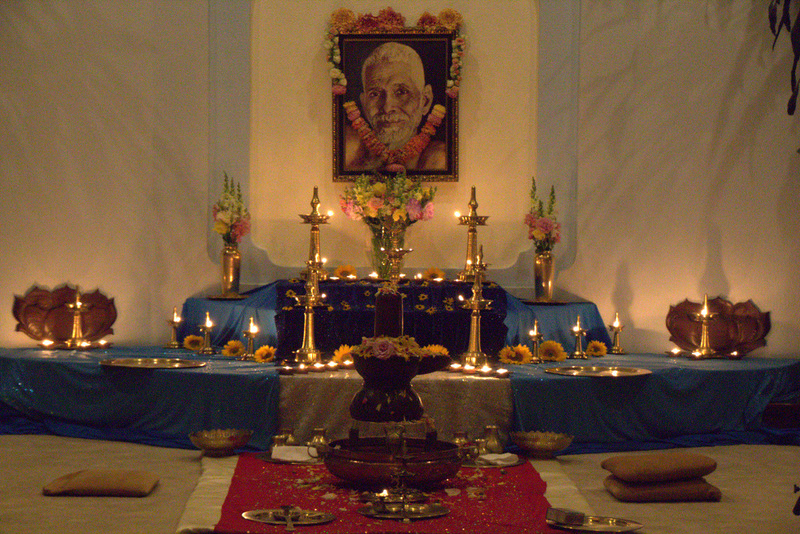 The date of September 1st is when Sri Ramana Maharshi arrived at Arunachala, steadily abiding in and as the Self, where he would henceforth reveal the highest Nondual Truth with teachings of Self-Knowledge, showing the primary means of the path of Knowledge, Self-inquiry. This event is to celebrate this holy day. Ah, What a wonder! It stands as an insentient Hill. Its action is mysterious, past human understanding. From the age of innocence it had shone within my mind that Arunachala was something of surpassing grandeur, but even when I came to know through another that it was the same as Tiruvannamalai, I did not realize its meaning. When it drew me up to it, stilling my mind, and I came close, I saw it (stand) unmoving. “Who is the seer?” When I sought within, I watched what survived the disappearance of the seer. No thought arose to say, ‘I saw’, how then could the thought ‘I did not see’ arise? Who has the power to convey this in words, when even Thou (appearing as Dakshinamurti) couldst do in ancient days only by silence? Only to convey by silence Thy (transcendent) state Thou standest as a Hill, shining from heaven to earth.